Now that I've had a chance to Polish her and fit a few goodies I thought I'd post up some photos.it was starting to get dark so there not the best but at least the rain had stopped long enough to take them! Lovely! Good optional extras of the centre console colour coded, and red seatbelts too. Seconded. Unless you put a 3.2 in it, you're just a poser. 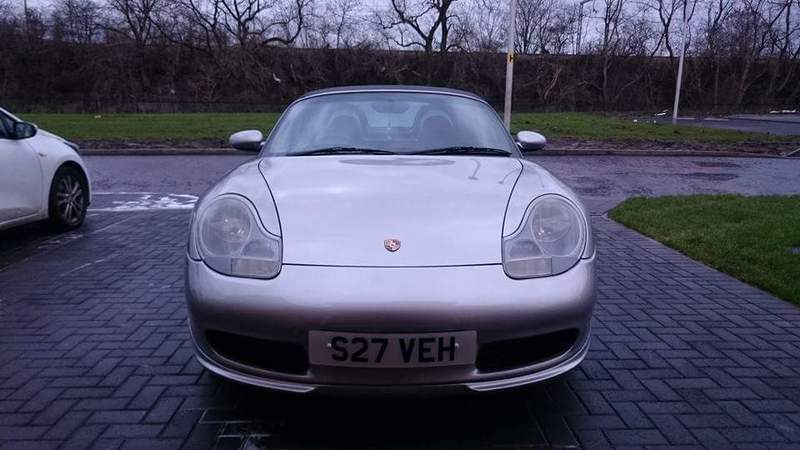 The s badge will be coming off, previous owner put it on but im waiting on a new boxster badge coming before removing it as its going to leave marks! 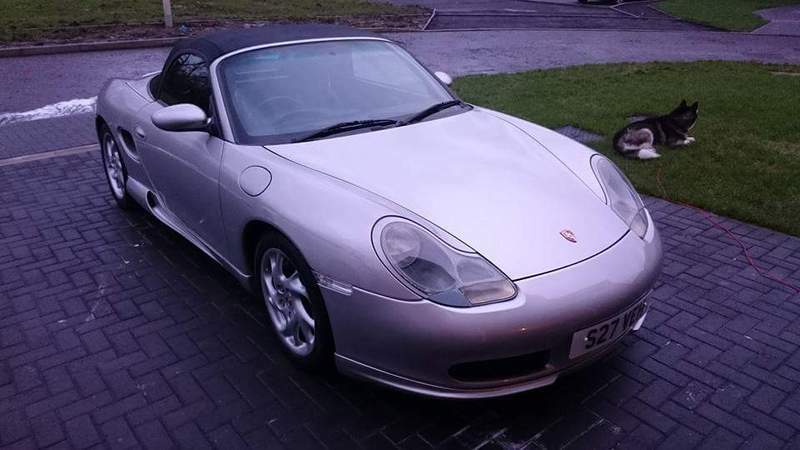 To be fair though it has been remapped and is putting out more power than a stock 2.5 so it would actually run with an s without any issue as was discovered on sunday by a chap in a 2001 carrera 4s lol! Cheers, it had quite a few options on it from the factory. 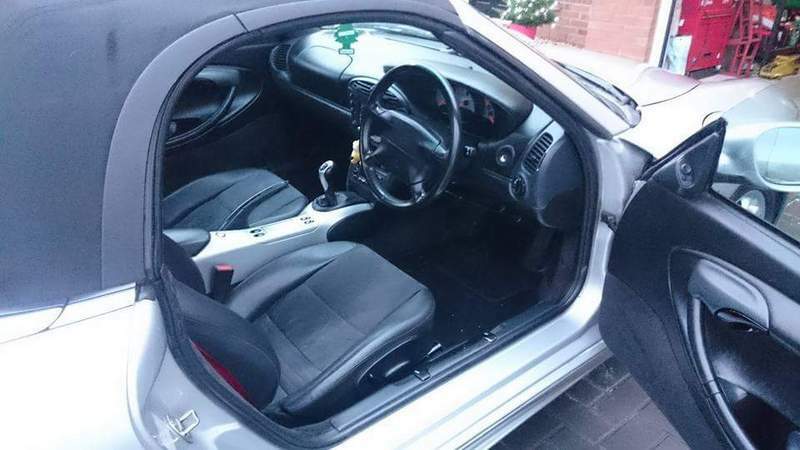 It also had the leather sports seats but the previous owner removed them and fitted the half leather half alcantara ones as the bolster on the sports seats was badly worn. Its got the leather trimmed dash and also the silver dials as well. The wheels were also the 17" optional upgrade. Very jealous of that centre console and red belts though. What's your plans? No I won't be keeping th S, I hate when a car is badged as something it's not! 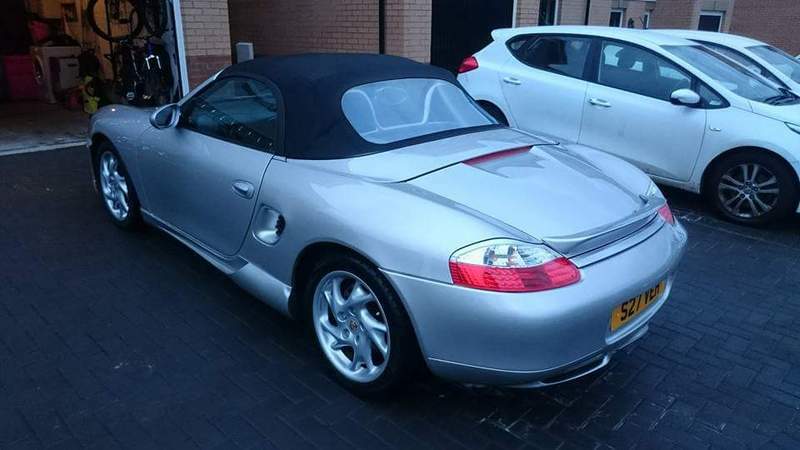 But the boxster writing is in a different position if it has the S.
The B should be positioned 285mm from the left edge if it's a boxster 2.5 or 2.7 but if it's a boxster S the B is positioned 245mm from the left so that the complete badge is centrally on the boot lid. 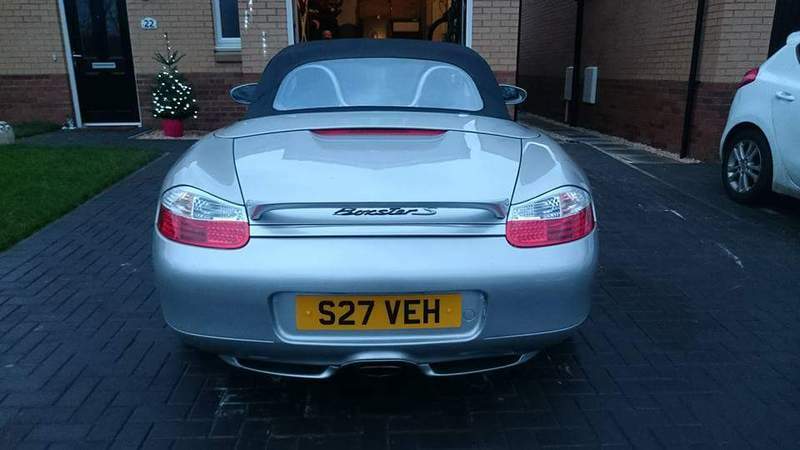 If I just take the S off the boxster writing will sit too far left as the previous owner who fitted it changed the whole badge and fitted it correctly. As for power, I'm unsure exactly what's been done to it but I know for sure it's been mapped and it's much much quicker than my 2.7 was. 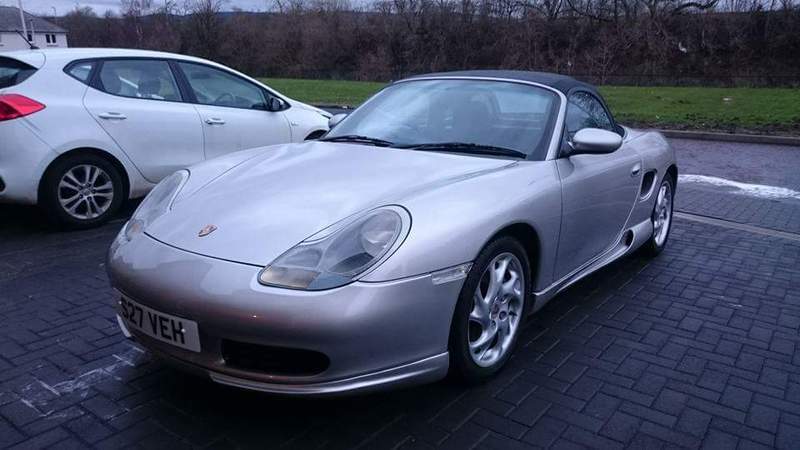 All I can say is that I was slightly behind the 996 and we both floored it in 3Rd from around 40mph and I reeled him in. I was surprised to say the least as I genuinely thought I'd have struggled to hang with him never mind actually close in on him! I know the engine has been out of my car at some point so for all I know it may have had internal work, actually thinking about it I don't even know if it's actually a 2.5 lol it could easily have been swapped out as it's clearly had money thrown at it in the past. That would certainly explain a few things! Last edited by Sideways Steve; 01-05-2016 at 12:12 PM. Well found! That's definitely my front lip! I meant look at your badge now from that photograph. Yours is already too far over to the right because of the added 'S' badge. 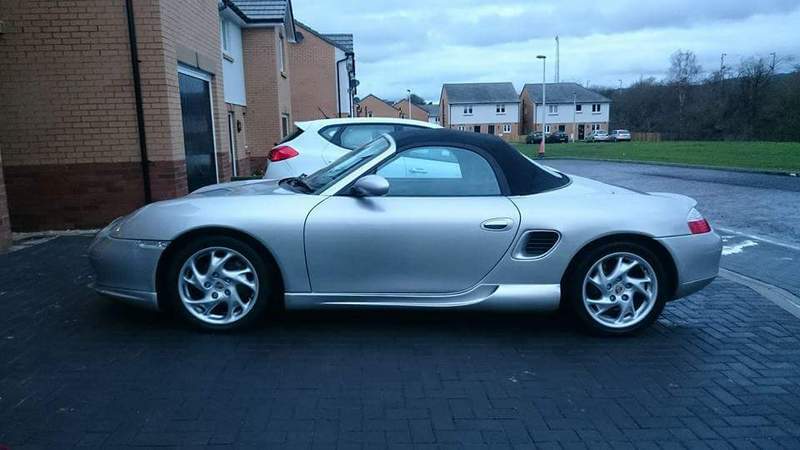 Removing that will make the 'Boxster' central again. That would definitely explain a few things. You know what, looking at it again you may well be correct! I'll have a look at it tomorrow as it's pouring down outside just now lol. As for plans, I have a few but next up is brakes as the discs are shot. I also just ordered new condensers and a radiator as there past it and have leaked and my drivers side coolant rad has a slow leak. 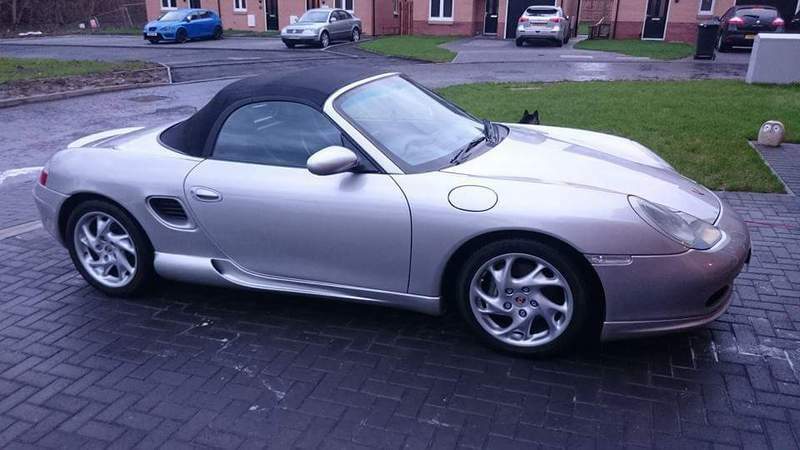 Tonight before the rain came on I fitted some porsche side stripes which were a nightmare to do because of my sideskirts. I'll try and get some photos tomorrow but I'm not sure if I like them or not. I've really just been concentrating on getting all the little age related niggles fixed for now, well apart from doing all my lights of course! I also need to get a proper look and see if I can work out what's been done to make it so quick but it's been to wet to get the Roof into service mode and open the engine bay up fully for a poke around. The 2.5 looks very different from the 2.7. If you pulled the engine cover off to look you'd know what was in there. Yeh I know, as I said though I've not had a chance to look yet as it practically rained every day since I picked it up 4 weeks ago and I've had no real reason or need to look under the engine cover yet lol. Might get into it this weekend though as I have an occasional squeak from the starter I need to sort as it's doing my head in! Good shout on getting the niggles fixed. 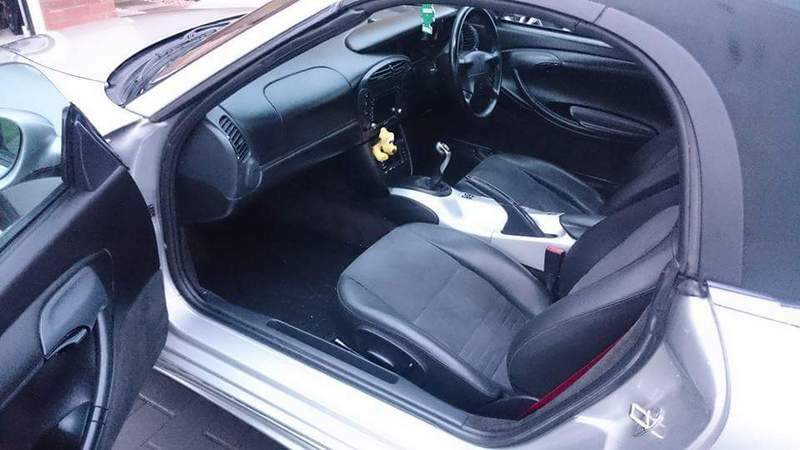 I used to have a beautiful Celica T-Sport that was really one of a kind. 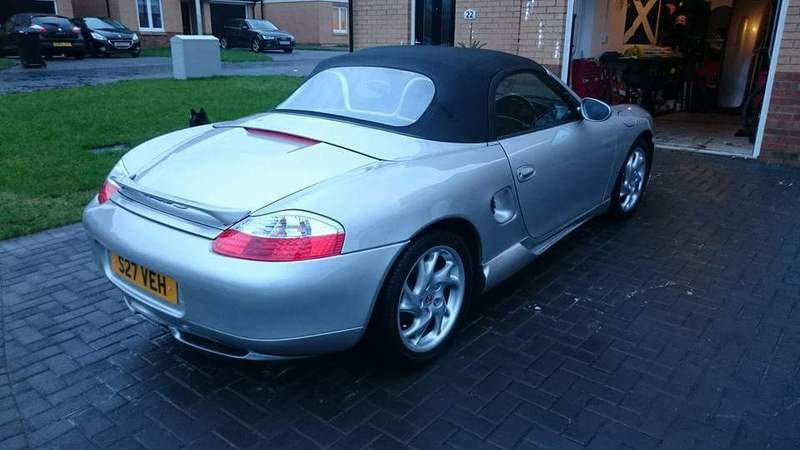 £1,000 worth of brakes, £600 suspension, etc. But I spent a year fixing every single part of the car that was even slightly incorrect, improved and refurbished everything I could find and fixed all common problems. This left me with a perfect, gorgeous base of a car for me to add things to. People often get carried away in modding and neglecting the car's base, then blame the car for not holding up down the line. And yeah, this weather's awful I've been meaning to change my spark plugs & coil packs for a week and haven't had a single chance. And I was off for the whole week too! Actually this is a good point. Plus, if there was a 2.5 in there and they went for an engine swap, I imagine they would have just done a 3.2 swap. I've had plenty of quick high powered cars previously so I know what "feels" quicker than it should if that makes sense. I'd be very surprised if just a remap makes a stock 2.5 feel this good otherwise everyone would be doing it! Starter going out. You can either do a new one or try lubricating all components on it. Or you may find someone who rebuilds them. Not a bad job so long as you have some long extensions to get to that lower bolt. It's as simple as checking the engine number cast into the bottom of the block isn't it? Yeh im going to strip it down, ive done a few before on vws which suffer the same problem and same noise so shouldnt be too much hassle. Possibly. Just need to get my finger out and have a proper look lol!